Removals Birmingham,Birmingham Removals,Storage Birmingham,Packaging Birmingham,Removal Boxes Birmingham,Bubble Wrap Birmingham,Removals Moseley,Removals Kings Heath Removals Birmingham,Birmingham Removals,Birmingham Office Removals,Birmingham small removals,Removals Acocks Green, Removals Erdington,Great Barr,Storage Hall Green,Harborne,Removals Kings Heath, Knowle, Removals Moseley,Quinton, Perry Barr, Quinton,Sheldon,Storage Small Heath,Storage Solihull,Stirchley,Sutton Coldfield,Yardley. ....Removals Birmingham-Birmingham Removals-Storage Birmingham-Packaging Birmingham-Removal Boxes Birmingham -Bubble Wrap Birmingham -Removals Moseley-Removals Kings Heath ! When it comes to removals its good to know that there is a professional Birmingham based company specialising in small removals packaging and storage. We can provide safe and secure storage with the benefit of CCTV for furniture and goods. We are experts at furniture dismantling and assembly, including flatpack furniture. We can also deliver packaging to your door within the Birmingham area. We aim to provide a professional removal service for those who wish to move smaller amounts of goods in Birmingham and the surrounding areas. If you live in a flat or have a small home or office our Luton van may be just what you need. 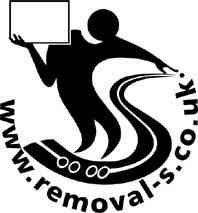 www.removal-s.co.uk was formed in 1999 in Birmingham, England. The original idea was to equip a Luton van in the same way that you would equip a full size removal van. Therefore we have a custom built Luton van, the body has been specifically built for furniture removals. We use transit blankets to protect furniture and we secure all furniture using ties. Our vehicle is fully equipped for home or office removals. We treat our customers and their goods and property with respect, this has been the key to our success so far. Check our reviews on Yell by clicking on this link! Send mail to Hugh@removal-s.co.uk with questions or comments about this web site.